Gigabyte private event leaks X570 launch date? 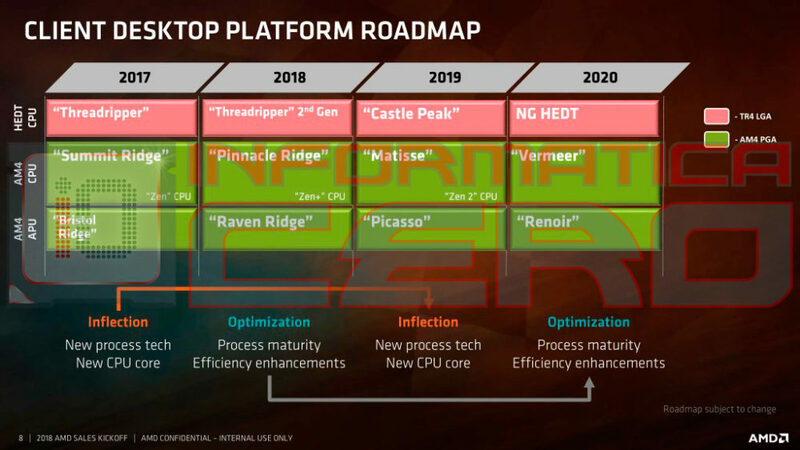 According to the slide posted at Gamer.com.tw, AMD is planning to introduce Matisse-based chipset already at Computex. The slides have Gigabyte watermarks. This X570 chipset would be the first to support PCI Express Gen 4, a technology supported by Zen 2 and 7nm Vega. This is interesting because AMD was not very eager to confirm that consumer parts, such as Ryzen or Radeon RX, would also support PCIe 4.0. If this leak holds true, then it would be very strange if Navi and Ryzen 3000 were not capable of supporting PCIe 4.0 as well. 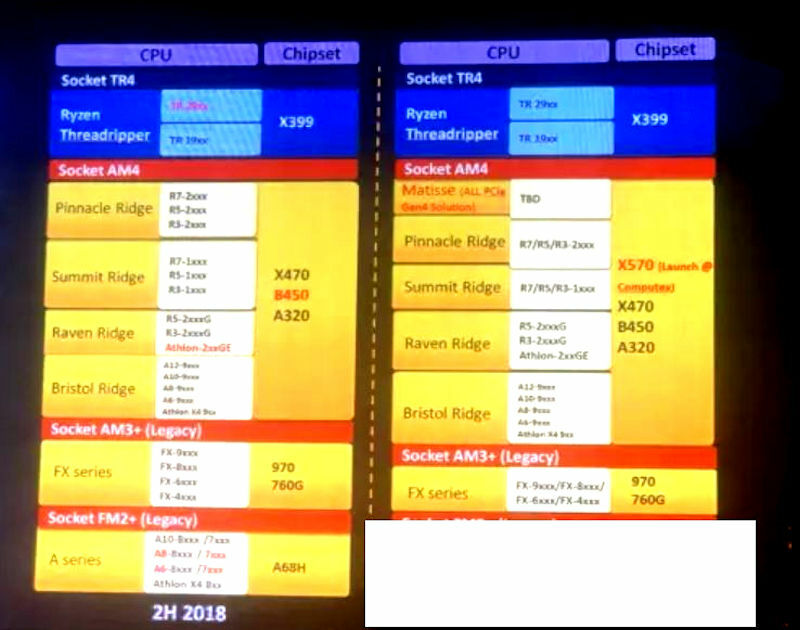 The slide is clearly a few months ago, as B450 and Athlon 200GE series are still marked in red. That said, it is possible that the launch could be planned for a different event now. 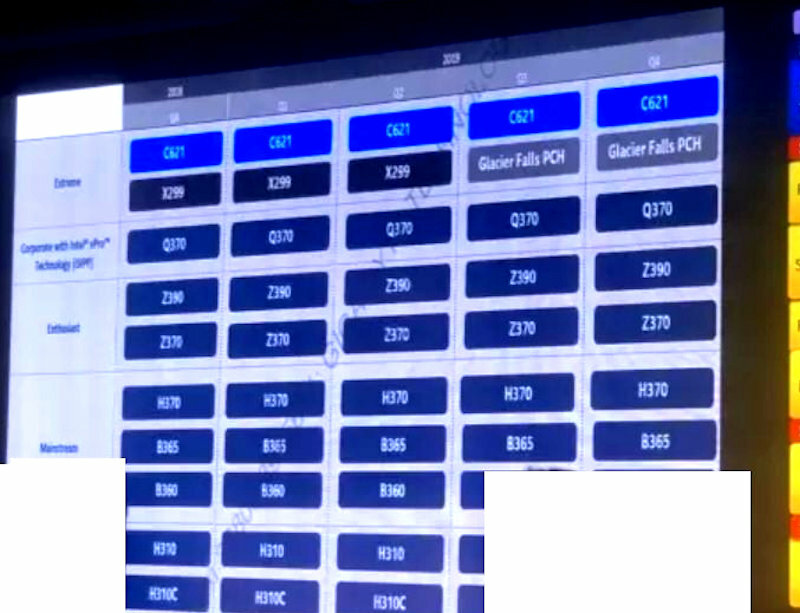 This slide indicates that Glacier Falls will be available in the third quarter of 2019. This means that Skylake Refresh will have rather a short lifespan of three quarters. The picture also lists B365 and H310C chipsets. Both start to appear on the market with under a new motherboard SKUs. Last but not least, there’s a picture showing KF variants of 9th Gen Core CPUs, such as Intel Core i9-9900KF, Core i7-9700KF, Core i5-9600KF, i3-9350KF and non-K variants — i5-9400F and i3-8100F.